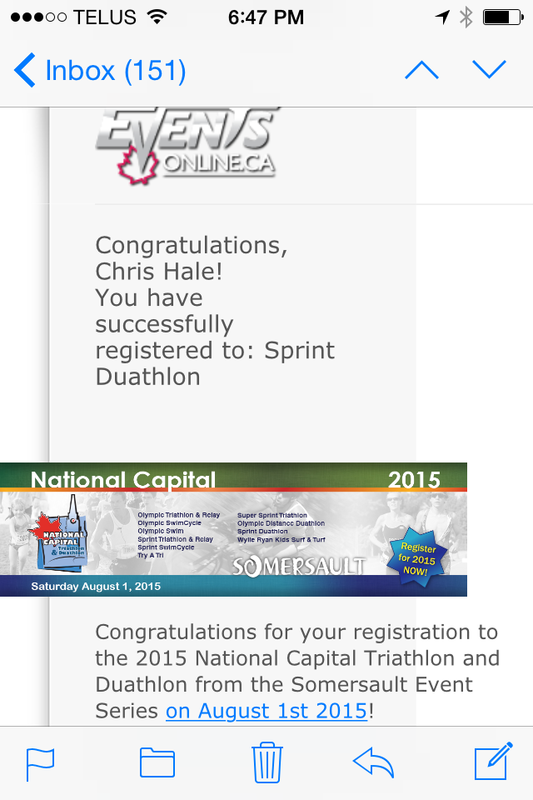 A duathlon and tri are on my list, but not yet. I feel like any race sign up for I am never ready for. It’s like a promise to myself that I will improve from date of sign up to date of race! I look forward to seeing how this goes!! My sister-in-law was pushing me to do a tri, but my swimming isn’t great anymore and I have a fear of drowning. I think the duathlon should be okay especially at the Sprint distance. But like I wrote, I still need to get the bike out and get on it soon. And I do mean soon since I really have about a month to get ready. Wish me luck!